Target date funds have become an increasingly popular retirement funding option for employer sponsored retirement plans due to it's simple, yet effective, allocation strategy that takes into consideration the risk tolerance of a participant as they get closer to their retirement. The target date funds provider you choose could have a major impact on the success of your 401(k) plan, your employees, and your business. But how can plan sponsors choose the right target date funds provider for their company and 401(k) plan participants? In our webinar, we'll present the major considerations for selecting the right target date funds provider. 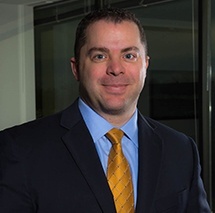 Patrick J. Morrell, CIMA®, AIF® is an Investment Officer with Connor & Gallagher One Source and responsible for investment research, reporting, and for conducting investment due diligence for qualified retirement plans. Patrick has experience working for institutional asset managers, as well as in private practice. A graduate of Northeastern University, he holds a Bachelor’s Degree in Business Administration with a concentration in Finance & Insurance and Economics. In addition, Patrick earned the Certified Investment Management Analyst (CIMA®) designation, Accredited Investment Fiduciary (AIF®) designation, and is FINRA Series 7, 63 and SEC Series 65 licensed. Mr. Morrell is also a candidate for Level 2 of the Chartered Financial Analyst exam and was named a NAPA Top Plan Advisor Under 40. Josh is responsible for helping plan sponsors define their retirement plan goals and choosing the optimal plan design. He handles plan sponsor relationship management, employee education, fiduciary oversight, plan design consulting, fee and service provider analysis. 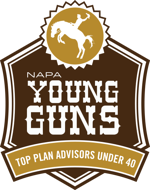 Josh is the recipient of the 2017 Young Guns "Top Plan Advisors Under 40" Award. Connor & Gallagher OneSource was named a Top Defined Contribution Advisor Firm in 2017. This webinar is for educational and/or informational purposes only and does not constitute legal advice. Need more help? Request to talk with Josh or Patrick.